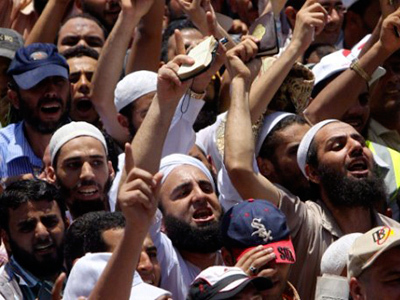 The Muslim Brotherhood, the Islamist movement that enjoys a rising popularity in post-Mubarak Egypt, is threatening mass protests and new martyrs if parliamentary elections are postponed. 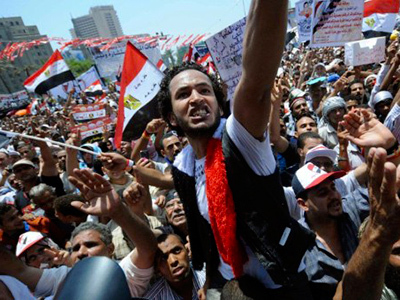 Egypt’s ruling military council faces strong pressure. The Supreme Council of the Armed Forces is expected to announce a date for opening nominations for parliamentary elections by the end of September, United Press International reported on Wednesday. 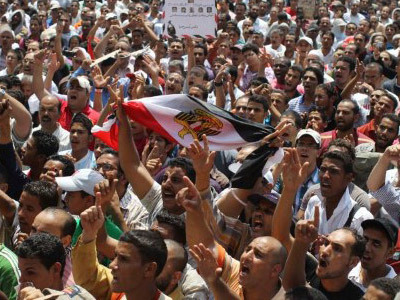 However, the Muslim Brotherhood has threatened to launch a new wave of street protests and promised more bloodshed if the parliamentary elections are postponed. For the first time since the overthrow of Mubarak, the Brotherhood has come out in direct confrontation with the ruling Supreme Council. 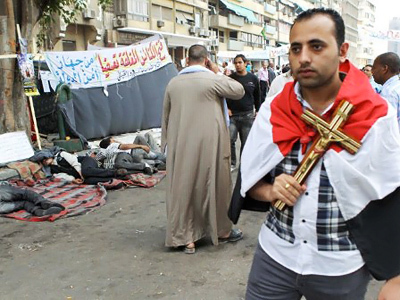 “In the Brotherhood we were raised on the idea of martyrdom and we are more than happy to offer new martyrs and begin new protests and strikes in Tahrir Square if the will of the people is denied,” Hasan El-Brence, a Brotherhood leader, declared during a rally in Alexandria Tuesday, as quoted by Egypt’s Al Ahram newspaper. The political wing of the Muslim Brotherhood announced it will start campaigning for the elections in the coming weeks, United Press International reported. The Brotherhood also said it was becoming frustrated with the policies of the ruling Supreme Council of the Armed Forces, notably a decision to return to emergency laws in the country. The Supreme Council of the Armed Forces is facing mounting pressure because of the perception it is not moving fast enough with post-revolutionary reforms. The US, for its part, has rushed to stress that military rule in Egypt has continued for too long, and expressed its concerns about the council’s commitment to the rule of law, according to United Press International. 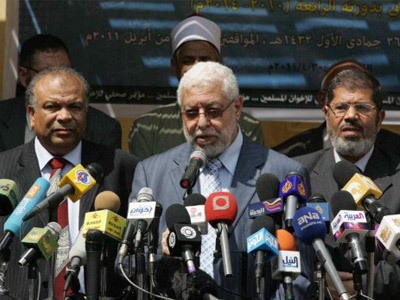 The Muslim Brotherhood has also called on the military council to lift the emergency laws, which were put into effect again after a recent mob attack on the Israeli embassy in Cairo. America should stand back and let Egyptians decide their country’s future by themselves, said Jayel Aheram, an Iraq War veteran turned antiwar activist and blogger. Zvi Mazel, a former Israeli ambassador to Egypt, warned that if the revolution does not go forward, Egyptians, fueled by nationalists and Islamists, may again turn violent. The real problem lies in the very structure of Egyptian society, he suggested. 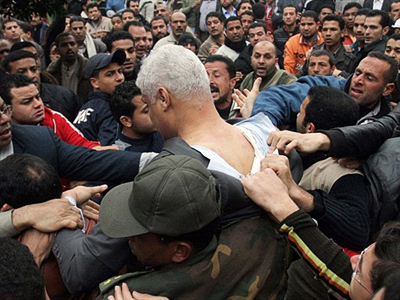 There are no democratic traditions in Egypt, he argued, and no centrist forces have ever existed. It has either been the Muslim Brotherhood, or on the opposite end the nationalists, Mazel explained. However, on the other side of Egyptian society are the nationalists, who may fight back against Brotherhood gains, he said. And this may give birth to new violence and bloodshed, the former ambassador warned. “I foresee a lot of confrontation, and even violent confrontation, between these two blocks – secular nationalists and Islamists,” he said. 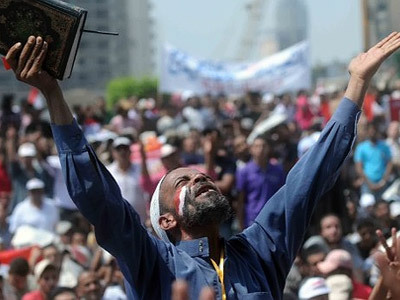 The Muslim Brotherhood plans to lead a protest on Tahrir Square in Cairo on Friday, to force the Supreme Council to cancel the emergency laws.